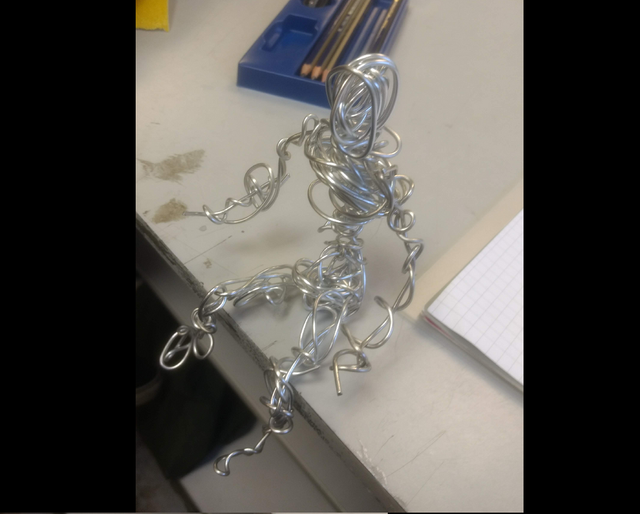 Here is a mini Metal Sculpture I made using wire of a person sitting down on the table. 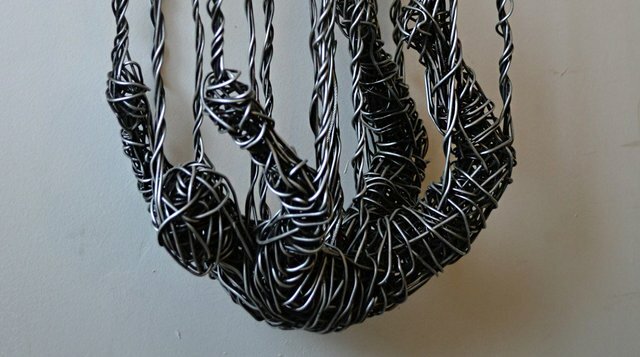 The wire was malleable and had to create the legs and arms seperate and then join it on to the body with more wire. 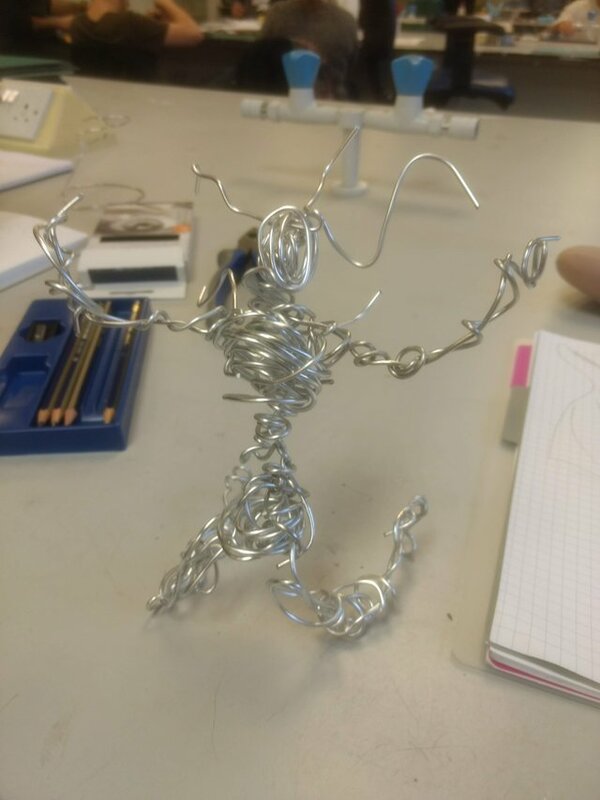 This took me maybe 15-30 minutes to do. I like the way he can sit without falling over and the different poses you can make. Wow! 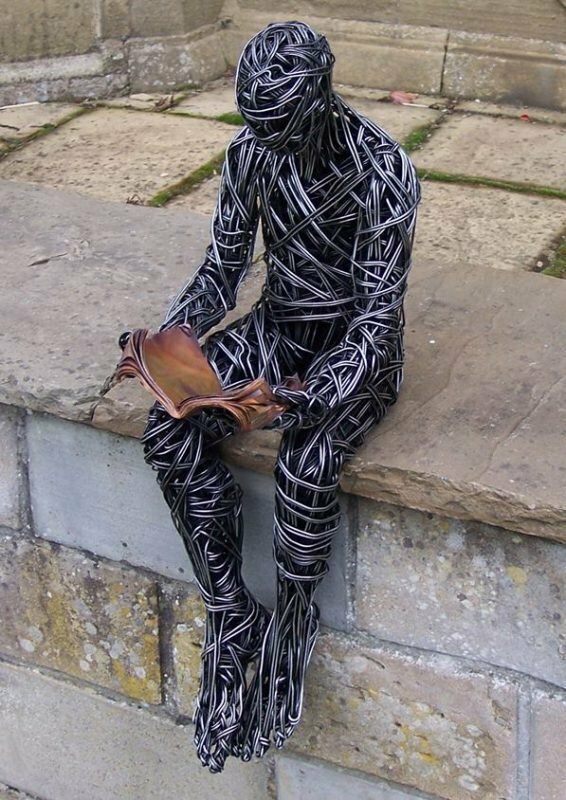 Very interesting sculpture! Great job!